Thomas the Tank Engine Small security blanket with ribbon tabs. 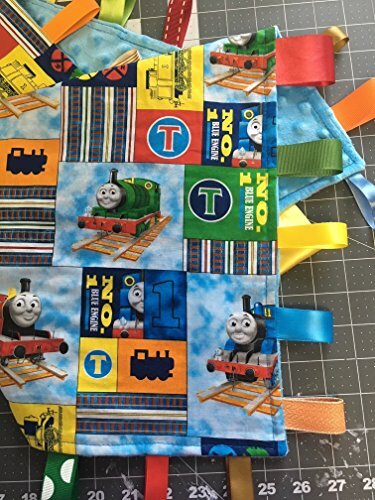 Flannel fabric featuring Thomas the Train, reverse to minky back. Ribbons trim the edges. Measures approx 17 x 20 inches. If you have any questions about this product by Kristmas in July, contact us by completing and submitting the form below. If you are looking for a specif part number, please include it with your message.